There are a few things we hold sacred here at Byrdie HQ, and our private Slack channel (RIP, dear G-chat) is one of them. While we sometimes veer entirely off the topic of beauty ('tis what happens when you work with your friends! ), most of the time our beauty-centric chatter is ceaseless and brutally honest. Sometimes, the content of our chat is so juicy we just have to share. Seems only fair, right? Such was what happened a couple weeks ago when, while dealing with a stubborn bout of winter dryness, I asked my fellow skin-blessed editors how they rehab and upgrade their treasured skincare regimens come December and beyond. Not surprisingly, their answers didn't disappoint. "Face oils! Exfoliation! Retinol!" The recommendations (specific product names included) came fast and furious, and it was all I could do to quickly screenshot the convo to save for a rainy (or snowy) day. Like today! Curious to know the products and treatments Team Byrdie swears by for a superior winter skincare routine? Keep scrolling for 11 subtle yet effective skin upgrades. "Definitely face oil! Celebrity facialist Georgia Louise told me to swap in face oil at night when I told her my combo skin was feeling dry and tight in the winter, and it's changed everything. 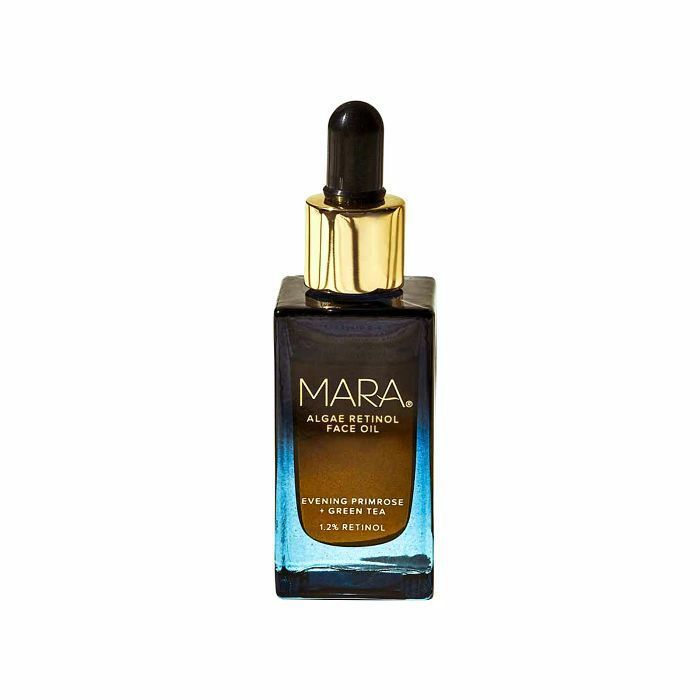 I love Mara's Universal Face Oil as the last step in my nighttime skincare routine to seal everything in, and lately, I've been swapping in the new Mara Retinol Face Oil one to two times a week too. It's made a huge difference in not only how my skin looks but also how it feels. I no longer wake up feeling like my skin is dry and tight." "I've also swapped out my lighter gel moisturizers for a moisturizer with ceramides this winter. 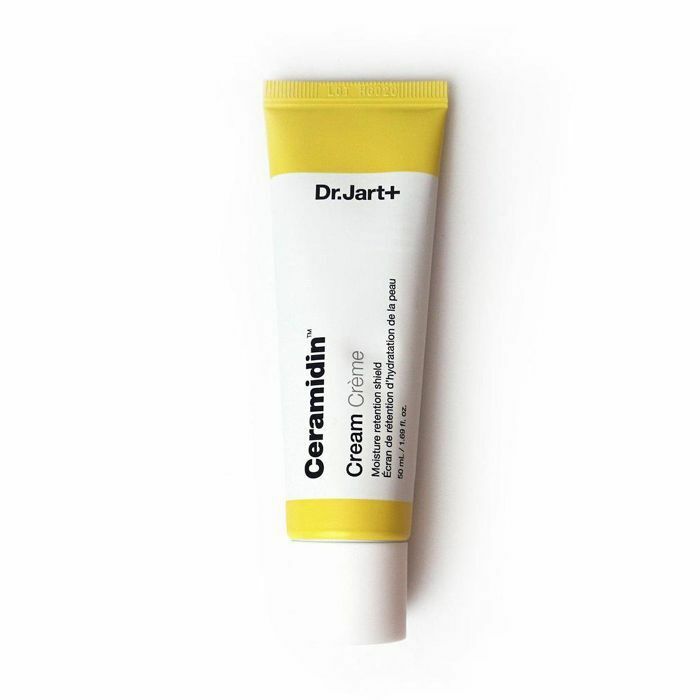 Right now, I love the Dr. Jart Ceramidin Cream in the morning because it has a velvety finish, which makes a perfect base for foundation and sinks in instantly. My skin feels bouncy and soft, and I swear I see fewer wrinkles under my eyes and on my forehead, too." 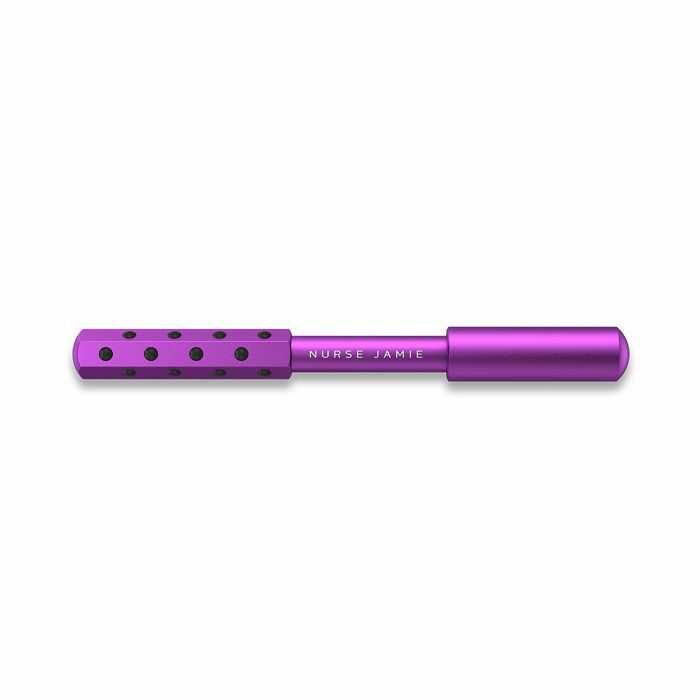 "Lastly, I've been using Nurse Jamie's Face Roller for a few minutes before bed each night. It's so easy to use, and I love that you don't have to plug it in. You can see the results almost instantly. My face always looks a bit flushed right after, which means it's helping circulation, and it's great for lymphatic drainage around the jawline area. I've been using it on my forehead to try and smooth out my ever-noticeable forehead wrinkles. TBD on how effective it is at that, but in the meantime, I'll keep rolling." "My dermatologist recommended that I up the ante with retinol this winter, as sun sensitivities are less of an issue post–summer weather. Essentially, retinol is a vitamin A derivative that works to stimulate the metabolism of skin cells and encourage collagen production. According to celebrity esthetician Renée Rouleau, it can be absorbed within the skin and, when combined with certain enzymes, is converted into tretinoin (the acid form of vitamin A, also known as retinoic acid). So here's the gist: Using a well-formulated and stable product with retinol will visibly reduce the appearance of sun damage, brown spots, lines, wrinkles, and large pores." "More physical exfoliation! My skin definitely gets a little croissant-style flaky in the winter, so instead of just relying on AHAs and BHAs to exfoliate, I use face scrubs to really get in there and clear away the dry skin. Juara's gentle scrub (which can also be used as a mask) uses bamboo and jojoba beads to polish my dryness away without tearing up my skin." In all honesty, keeping my skin clear and blemish-free is my top goal all year round, and my hormonal breakouts don't discriminate depending on the season. Regular facials (which typically involve a lot of extractions) are truly the key to keeping my skin in tip-top shape. Whenever celebrity esthetician Renée Rouleau is in town, she always blesses me with a dose of her magic, which gets my complexion back on track. When it comes to dryness, my under-eyes are truly the only part of my face that really suffers in the wintertime. 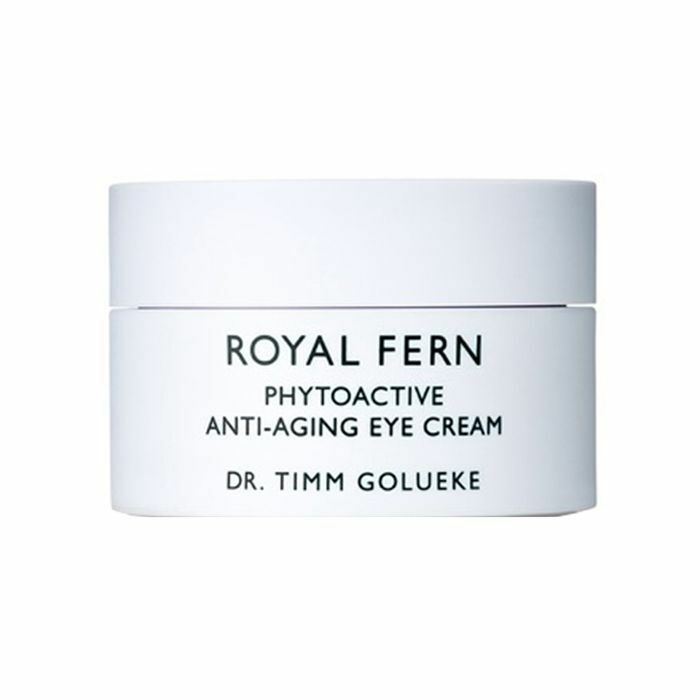 It's an investment, but this magical, highly nourishing eye cream from Royal Fern completely transforms my irritation and dryness practically instantaneously and in the days post-application as well. The texture is so soothing and surprisingly lightweight, and on a slightly unrelated note, I'm obsessed with the scent. Royal Fern, can you make a fragrance? Perpetual dullness is a constant battle in the wintertime—especially if you're living somewhere with bone-cold temperatures. 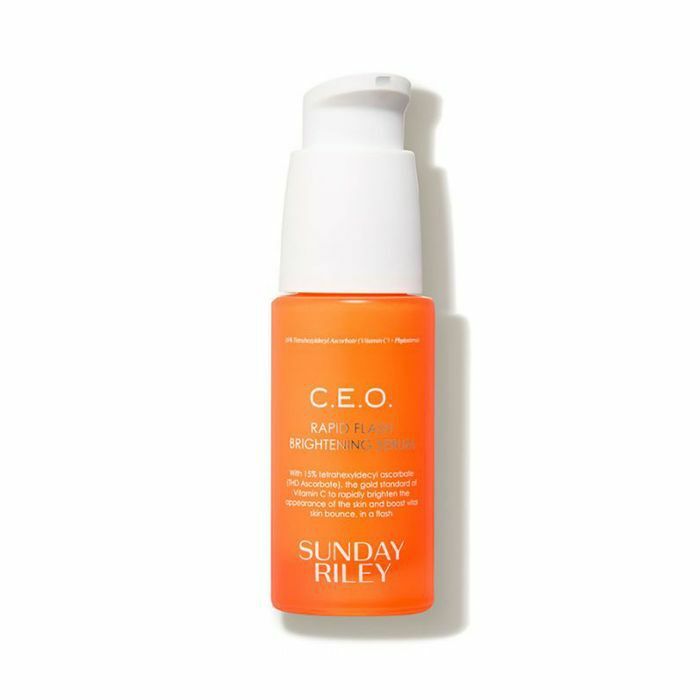 I'm not, but I still feel the effect of less balmy weather here in L.A. and depend on this best-selling brightening serum from Sunday Riley to make my skin glow. The difference when I'm not applying it regularly in the morning is staggering. This year especially, I've really tried to be better at using regular, high-quality sun protection. 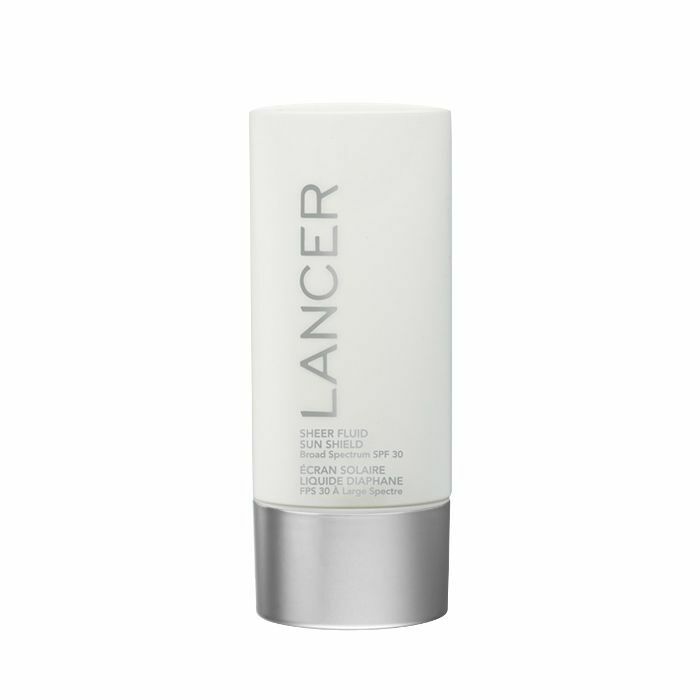 There are only a few formulas I like, but I just discovered and tried Lancer's Sheer Fluid Sun Shield and am obsessed. It's so lightweight. Even in the wintertime, I hate using products with heavy consistencies. This is fortified with antioxidants, grape stem cells, and other healthy fares. It feels like velvet on your skin and also offers a very subtle tinge of radiance I definitely don't hate this time of year. "Heavier moisturizers are a must for me in the winter months. With the heater blasting in my apartment and frigid air outside, I need all the help I can get. 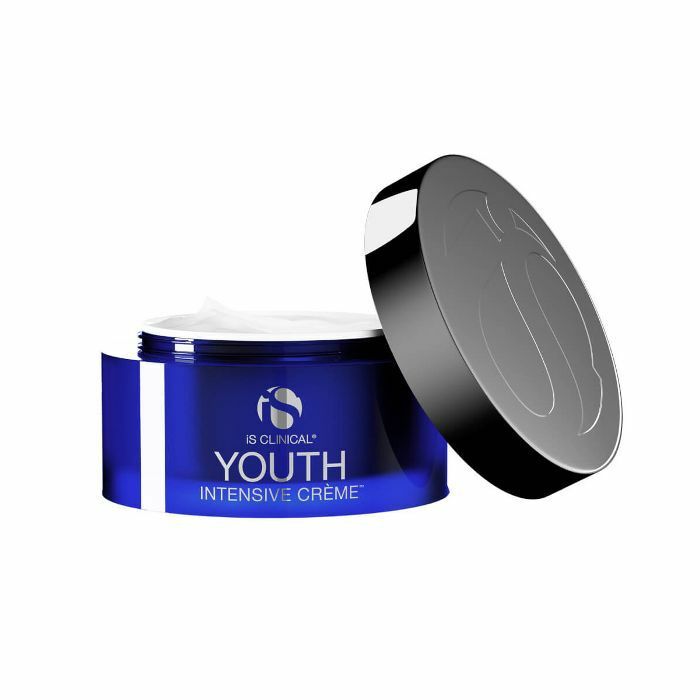 My latest skin-quenching favorite is IS Clinical Youth Creme. It's a rich moisturizer that melts on contact and leaves my skin feeling dewy and bouncy all the way through the morning. It also doesn't break me out, which rarely ever happens with a thick(er) product." "I've also started to consistently use a new device from Eterno Skincare. It's a handheld red-light-therapy device with a glass head that glides easily along your skin. Aside from being fun to use, it helps to boost collagen and reduces the look of fine lines, which I feel always show more prominently in the wintertime when my skin is dehydrated. After only a few uses, I've seen a marked difference in my skin's overall texture and radiance."